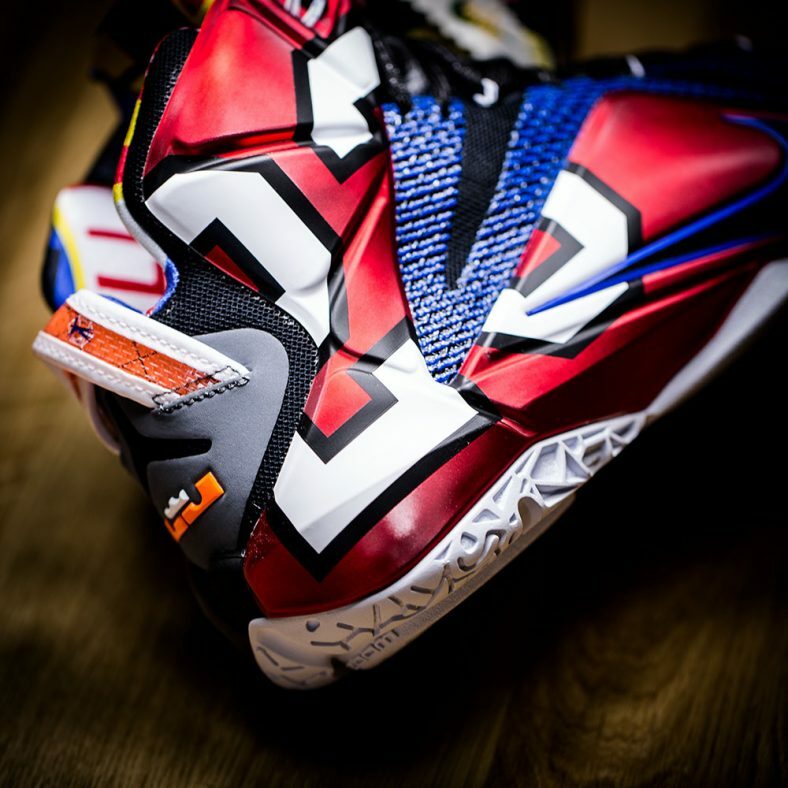 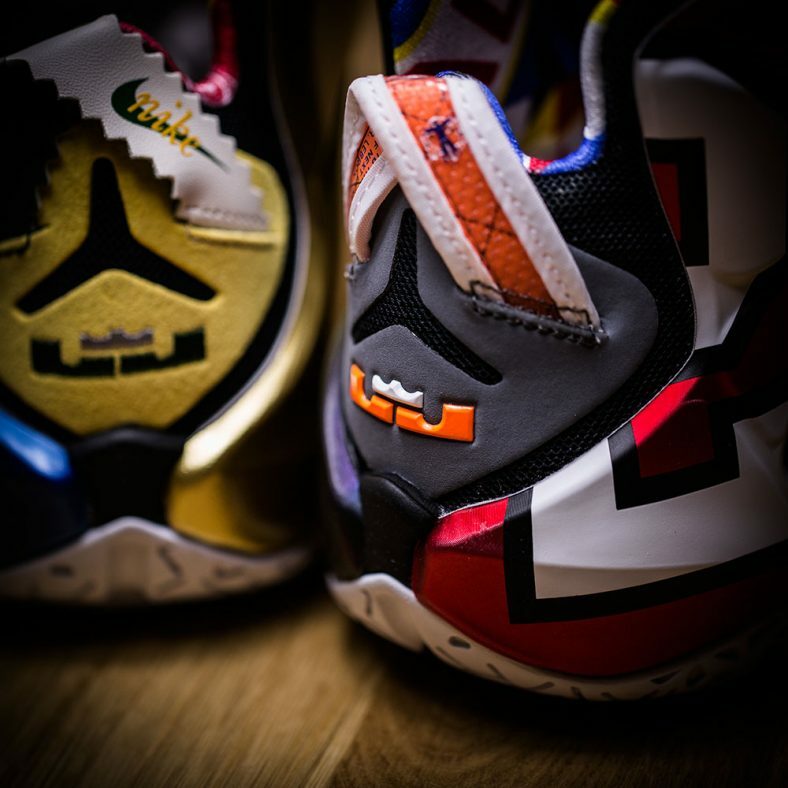 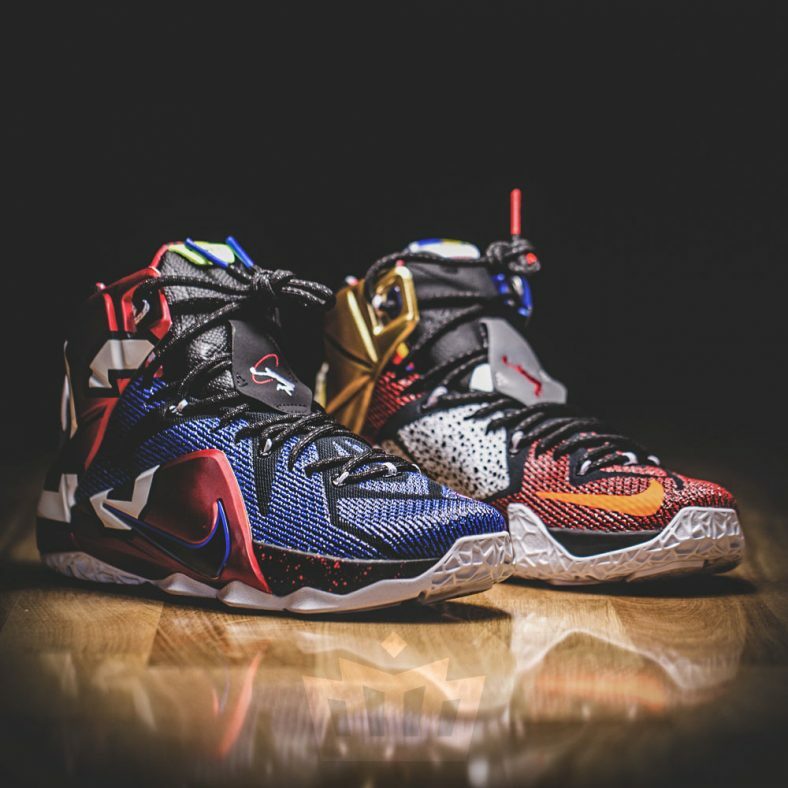 Closer Look at the Nike LeBron 12 SE "What The"
The “What The” series continues on the Nike LeBron 12. 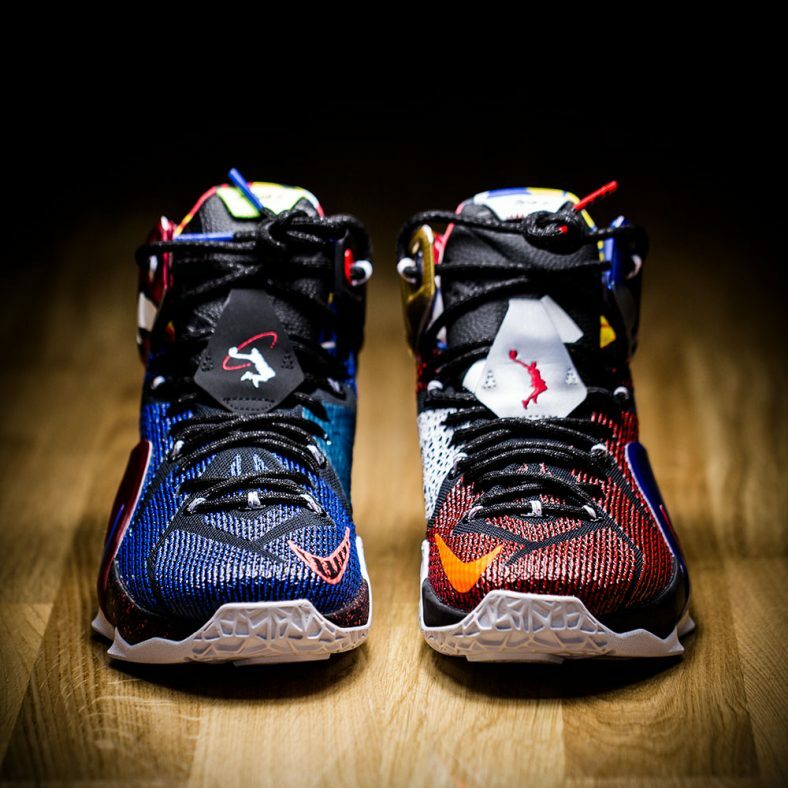 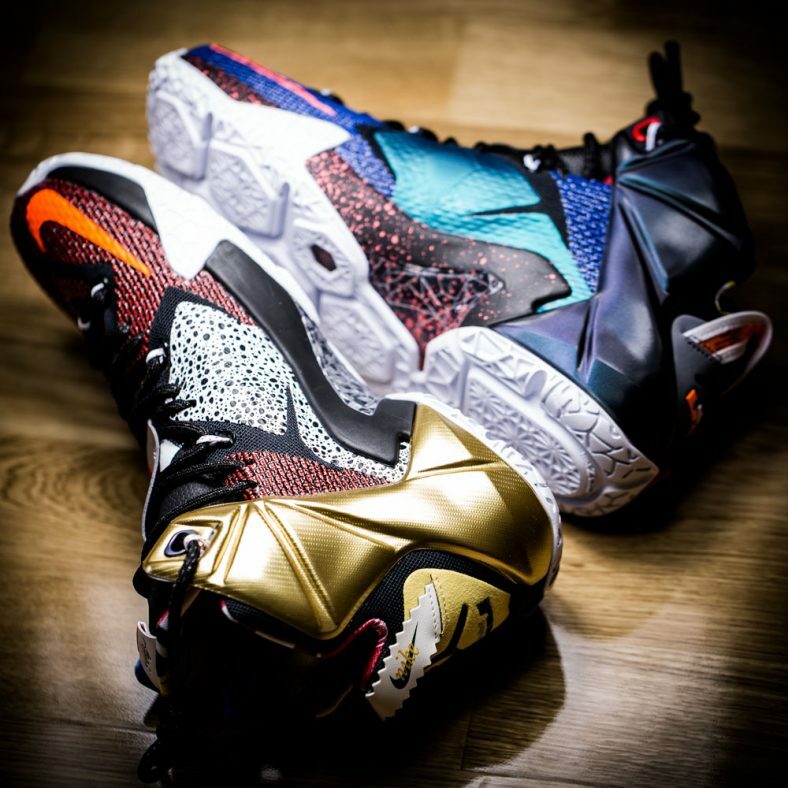 This sneaker features a combination of design elements from previous LeBron 12 sneakers. 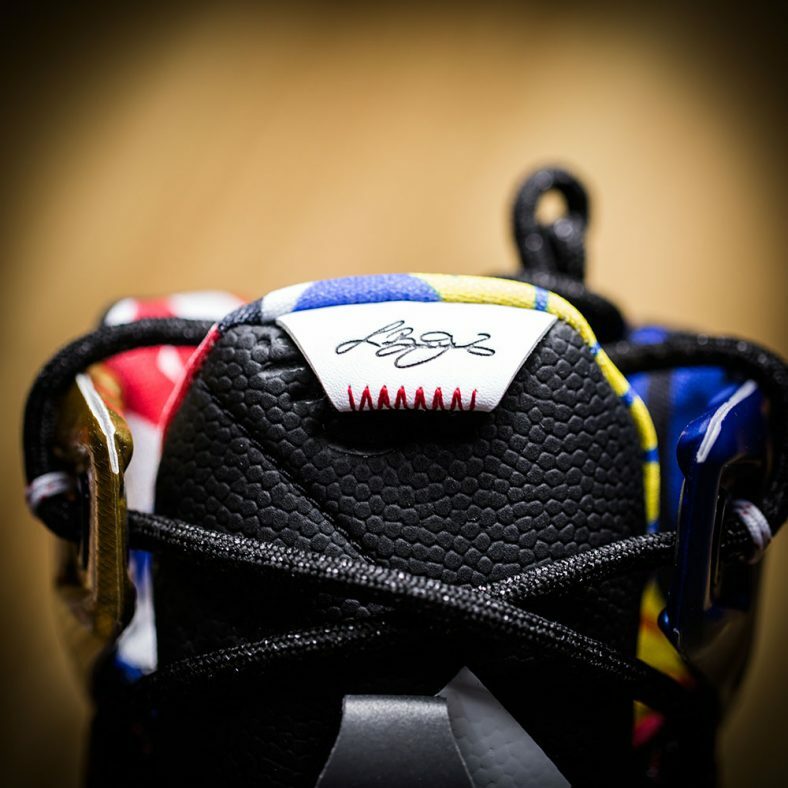 The sneaker features a Dunkman and Swingman logo on each tongue, a safari speckle print on the medial side, while the inner receives a bright colorful print. 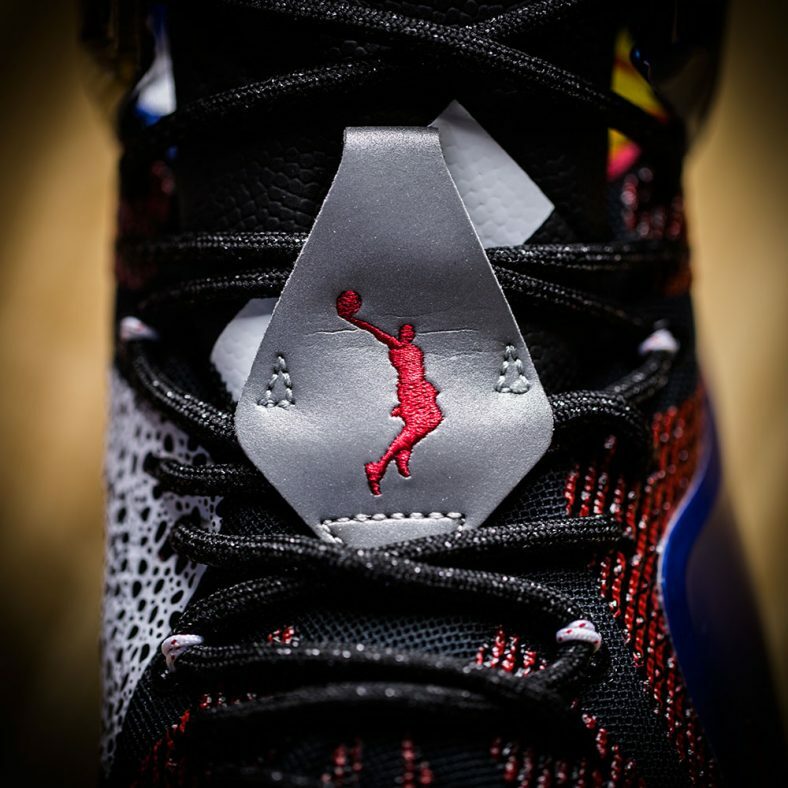 Other details included are a speckled midsole, 3M accents throughout the sneaker, a large “23” on the right sneaker, and a translucent sole.